Soror Keisha M. Beasley was raised in Beaumont, Texas and lived there until leaving home to pursue her college education. Soror Beasley earned a Bachelor of Arts degree in Sociology from The University of Texas in 1998. She received a Master of Business Administration degree with a concentration in finance from Sam Houston State University in 2003. Keisha has been married for twenty-two years to Mr. Gary Godwin. The couple resides in The Woodlands, Texas. They are the owner-operators of SERVPRO ® of Westfield, a cleaning and restoration franchise. Their franchise is the only black-owned SERVPRO office in the region. Keisha also freelances as a public speaker and event planner. Soror Beasley is a diamond life member of Zeta Phi Beta Sorority, Incorporated. On the National level, she served as National Trustee and as an appointed member of the undergraduate advisory committee. On the Regional level, Soror Beasley served as Undergraduate Member-at-Large and Regional Nominating Committee Member. She served as East Texas state director for four years. During college, Keisha served as Omicron Theta chapter president and numerous other offices. After graduation, she held membership in Lambda Zeta Chapter where she served as third vice-president for four years, undergraduate advisor for over six years and held numerous committee chairmanships. In 2007, she became the charter president of the Phi Iota Zeta Chapter in Montgomery County and served for three terms. She has also held offices of executive board chair, first vice-president, second vice-president, financial secretary and treasurer in Phi Iota Zeta. She is certified as an Amicae, undergraduate and youth advisor. Keisha attends Bammel Church of Christ in Houston, Texas. She participates on the Communion Preparation Team and leads the Wednesday Night Meal Ministry. 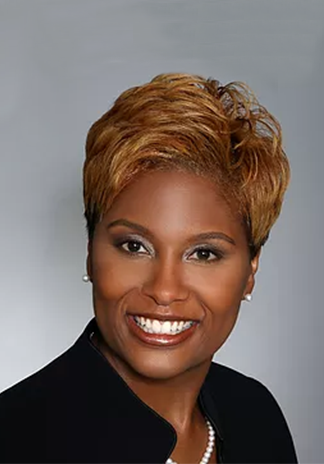 Soror Beasley is a member of the Greenspoint Chapter of the American Business Women’s Association where she has served as president for three years and a board member for five years. She is also a member of the Federation of Houston Professional Women and the Harris County Metro Chapter of the Texas Democratic Women. Keisha actively serves on the funding team of the North Harris County Education Alliance. Keisha’s mother, Doris Volrie, is a proud member of the Zeta Amicae of Houston Auxiliary and serves on the Southern Region Nominating Committee for the Amicae. Her niece, Jacqueline Walker, is a future Zeta and current Amicette. When she is not working, Keisha enjoys reading, cooking – especially barbecuing, and traveling.